-Who is the driver behind the mask? 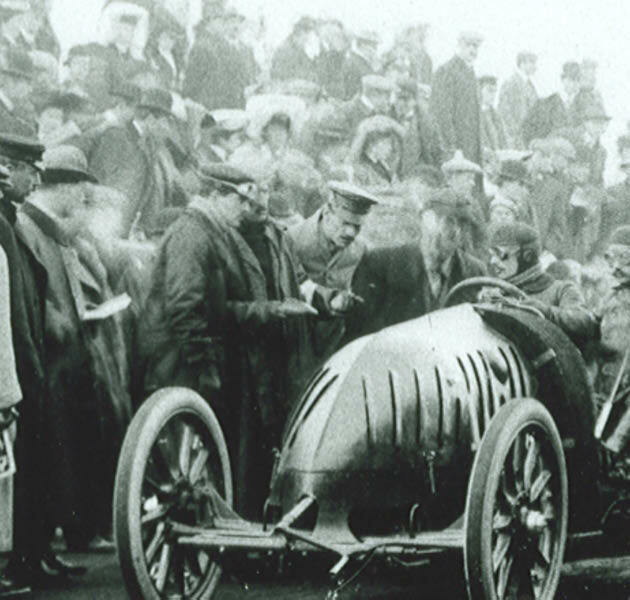 The #10 Renault that raced in the 1905 Vanderbilt Cup Race, finishing 5th. As noted by Ariejan Bos, the mechanican was "Russian Sergey Dimitriewich (or Dimitri). 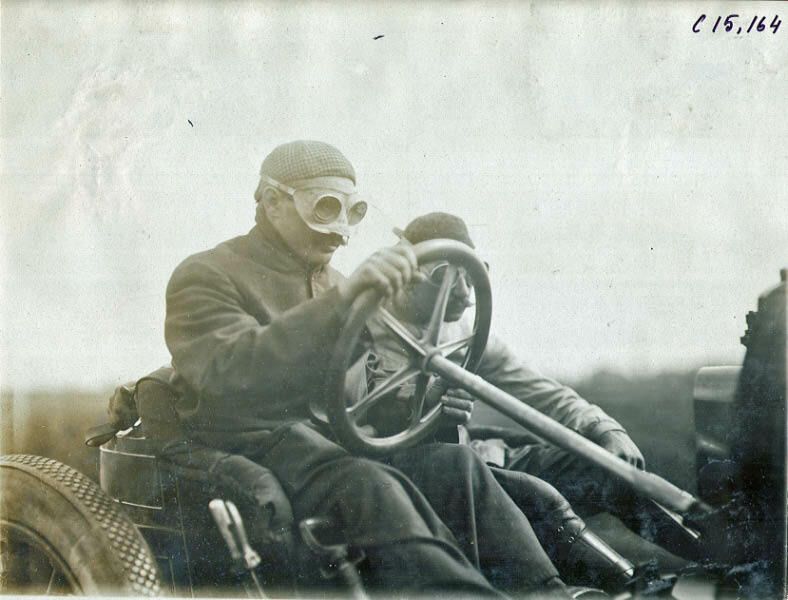 Dimitrievich would drive his own Renault during the 1908 French Grand Prix, finishing in 8th place. He died in June 1909 during a car crash while training near Moscow." Congrats to Ariejan Bos and Frank Feminias for correctly answering the Mystery Foto questions and the bonus. 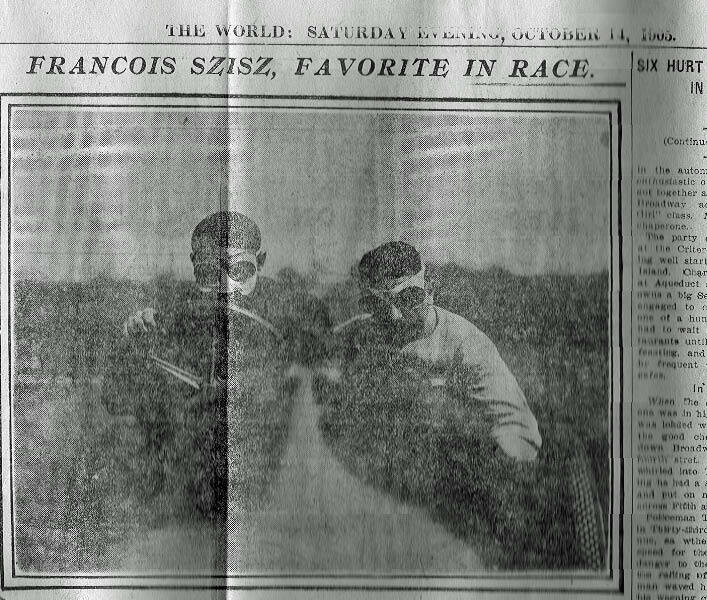 This photo originally appeared in the October 14, 1905 issue of The World, which declared Szisz the favorite to win. Another photo of the driving team taking at the same time as the Mystery Foto. Note Szisz' distinctive cap. The Renault's specification published in the 1905 Program Guide. 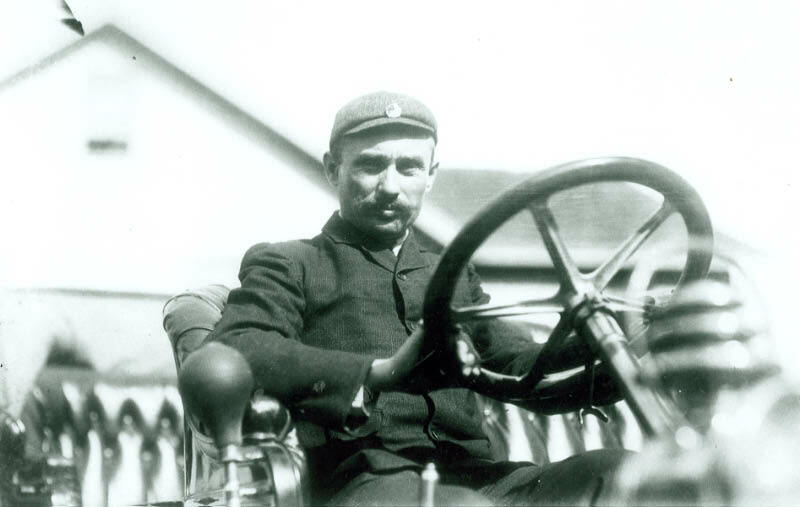 Referee William K. Vanderbilt Jr. checking out theRenault. Szisz' first name was Ferenc but was also known by Francois. 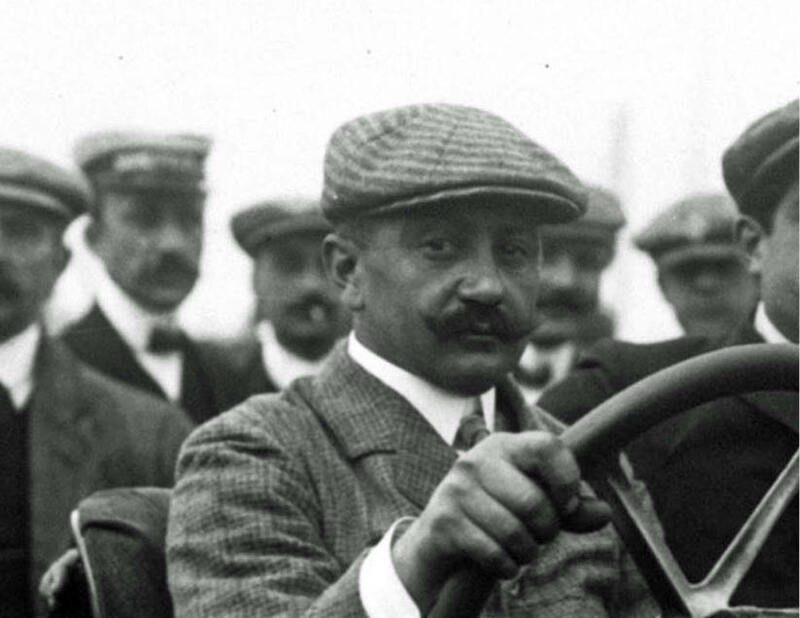 Szisz was the winner of the the first French Grand Prix held in 1906. These very determined looking drivers are the Hungarian Ferenç Szisz and his Russian co-driver/mechanician Sergey Dimitriewich (or Dimitri) posing in their Renault before the 1905 Vanderbilt Cup race, in which they would finish on 5th place. 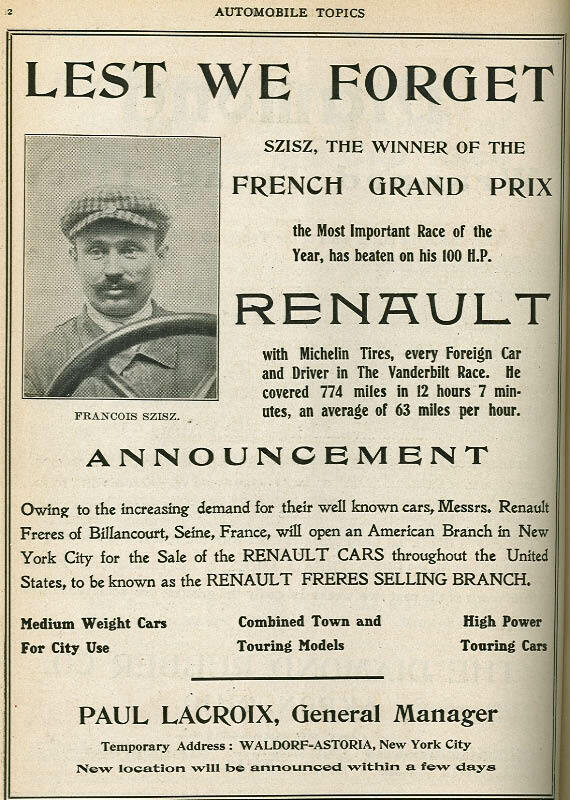 Szisz would of course become immortal the next year by winning the first French Grand Prix. 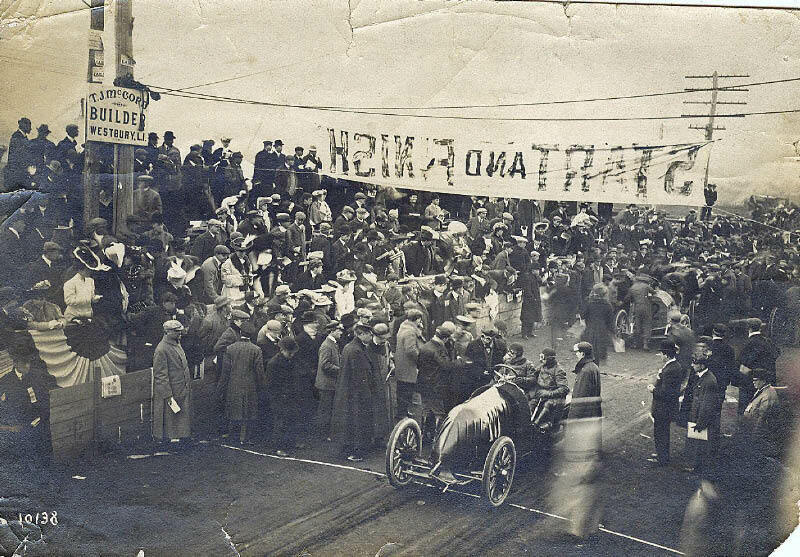 Dimitrievich, whose real name was Alexander Vetchinine by he way, would drive his own Renault during the 1908 French Grand Prix, finishing on 8th place. He died in June 1909 during a car crash while training near Moscow. 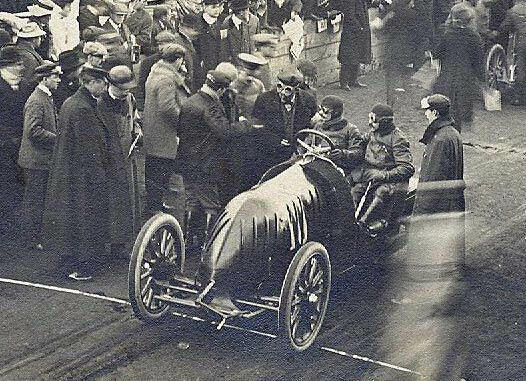 I’m not sure why but I’ll guess driver Maurice Bernin; mechanician Felix Prossen in the 1904 Vanderbilt Cup Race in a Renault. Few hints here. Car sort of looks like a Renault. 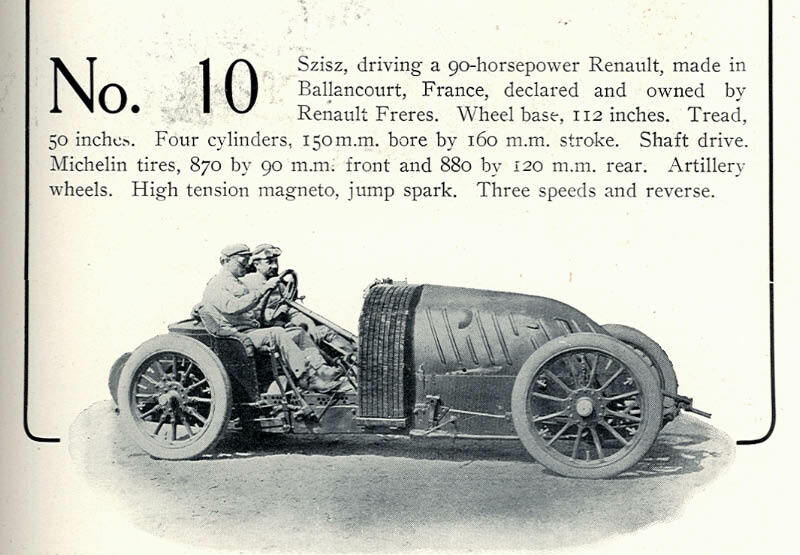 Guessing on 1905 VCR / Driver: Francois Szisz / Mech: George Dimietrievitch in the #10 Renault for the masked speedsters. I believe they posed for this shot, wheels aren’t spinning. Ted: Hang in there with the computer.